Barcelona city hall is pushing for greater local control over the tourist rental business as local discontent with tourist flats increases. A plenary session of the Barcelona city council has voted in favour of a motion to devolve more control over tourist rentals to City Hall, with regulations specific to the city of Barcelona. The motion was proposed by the Popular Party, whose leader Alberto Fernandez Díaz expressed concern for local residents. Tourist rentals are currently regulated by the regional government of Catalonia, called the Generalitat, after the national government in Madrid recently devolved the regulation of tourist rentals to Spain’s seventeen autonomous regions. Barcelona’s city councillors want even more local control of the tourist rental business. They want city-level regulations, including special plans for rental licences for districts most affected by tourism. 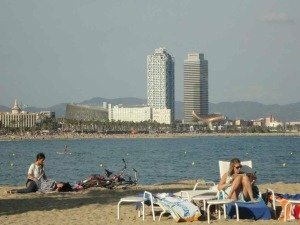 The councillors are also in favour of an action plan against illegal holiday lettings in Barcelona, an increase in the tourist rental licence fee (currently a one off-fee of €227 for a licencia de piso turístico), a new fee for annual licence renewals, and a campaign to inform local residents of their rights with regard to tourist rentals. The growing scale of the tourist rental business in Barcelona lies behind the increasing conflict between local residents and tourists renting appartments. My contacts in the business explain that Barcelona tends to attract younger tourists who enjoy the city’s nightlife, and make more noise at night. That winds up local residents, who complain to the authorities. I was amused to learn it’s a very different situation in Rome, the Italian capital, where older tourists attracted by the high culture complain the noisy locals keep them awake at night.